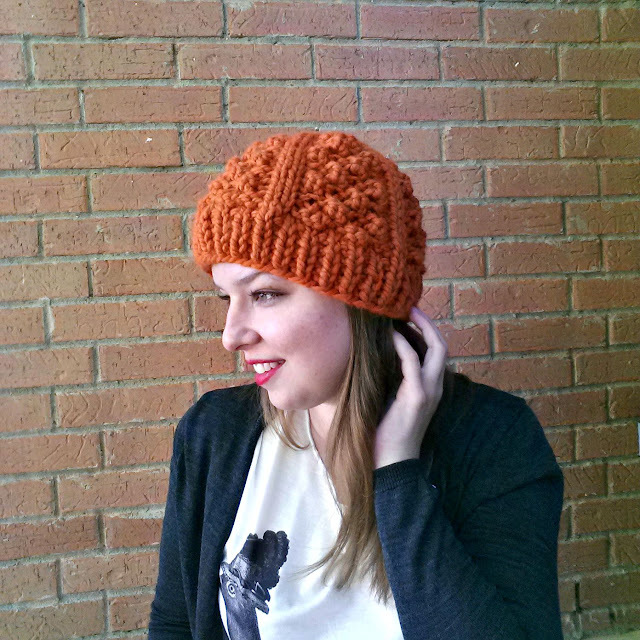 Sew Classic: Finished: Fall Hats! 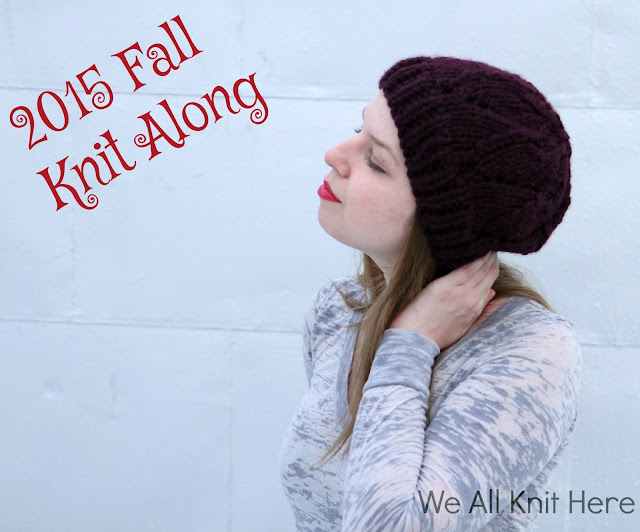 Um, are you guys tired of me posting about knitting stuff here instead of sewing? Because I'm tired of it. I'm sorry. But this is the last knitting post for awhile, and I know I have some knitters on here so I just wanted to share. I designed 4 different hats over the last month or so, and I'm super proud of them. They all use Lion Brand Wool-Ease yarn and they all use US size 11-15 needles, depending on the pattern. It hadn't even started to cool off when I started thinking about these, so I was instead imagining what my idealized fall is like: bonfires, back to school shopping, apple picking, and lots of cables. So with each of those things in mind, I designed hats around those themes, and I just love them. AND I mostly wanted to post now because I'm hosting a Knit Along for the Arosa Slouchy Lace Hat. Like it? Want to make it? Want to make it with me? Otherwise, go favorite the hats on ravelry or add them to your queue. I hope you guys love them as much as I loved making them!